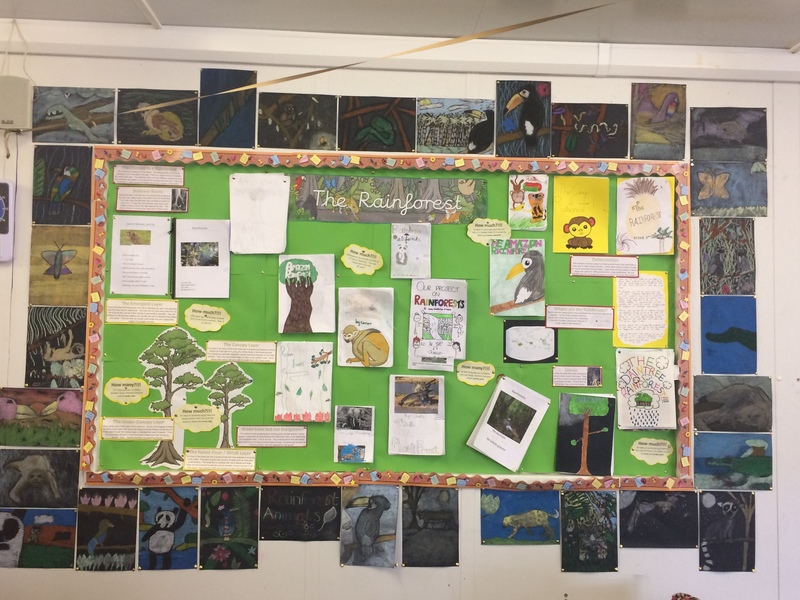 5th and 6th class have been learning all things about the Rainforests. We researched the different layers of the Rainforests and Rainforests: Amazon, Congo and Dantree Rainforests. 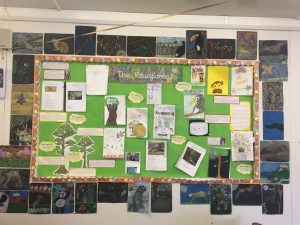 We researched all the different animals that live in this habit as well as creating music inspired from the Rainforests and performing dramas. We created projects based on our research. In addition we created lovely Rainforest Animal art using chalk and oil pastels. Our work is proudly displayed in the class room.